On Thursday, October 25th, Christie’s sold the “Portrait of Edmond Belamy” for $432,500. I don’t know why but this story reminded me of Potato Jesus. Maybe it is because the painting styles in both portraits are similar: a dark nearly monochrome blurred image. (You’ll forgive me. I’m not an art expert.) Or because, in both cases, we are talking about an ―eventually successful― amateur’s inroad into the sacred temple of Art. 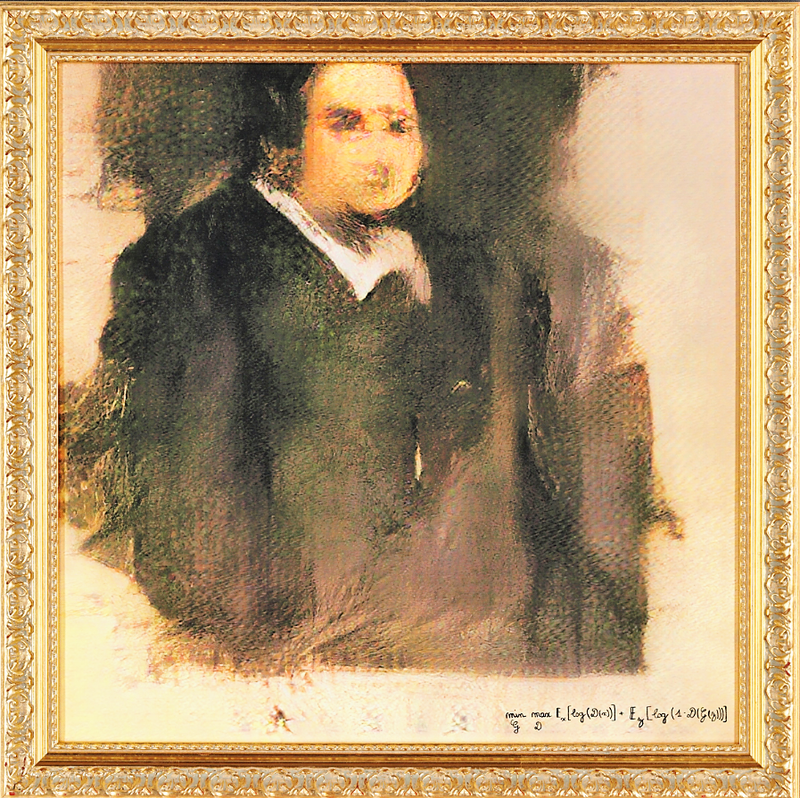 Or, well, because an old woman spoiling an old painting and a neural network massaging pixels do not seem so different. What a promising couple of artists! Art should provoke, disturb, arouse our emotions, expand our sympathies in directions we may not anticipate and may not even wish. ― Joyce Carol Oates. And, voilà, I have managed to paraphrase and quote two Joyce’s in this post. ReJoyce! Next What is it like to be a plague?